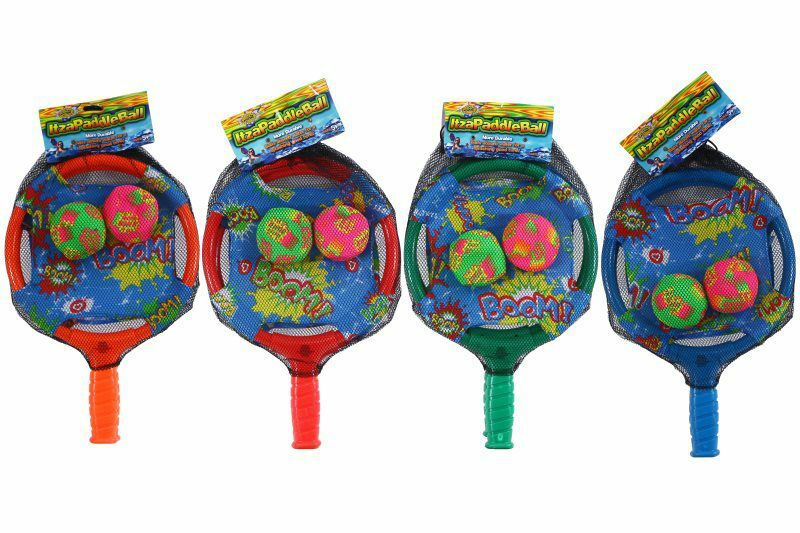 Water paddleball -toss, catch and paddle water soaked Itzasplashers in your backyard, in the pool or on the beach. Play catch, monkey in the middle or even water tag with your whole family. The paddles are made of a bouncy TPE material that absorbs minimal amounts of water, making it perfect for poolside and beachside plays. The bouncy paddle catches and catapults Itzasplashers across decks and patios. Fling balls high into the air and make dare devil catches with Water Sports Itzapaddleball. This set includes 2 paddles and Itzasplashers for hours of backyard fun with your entire family. 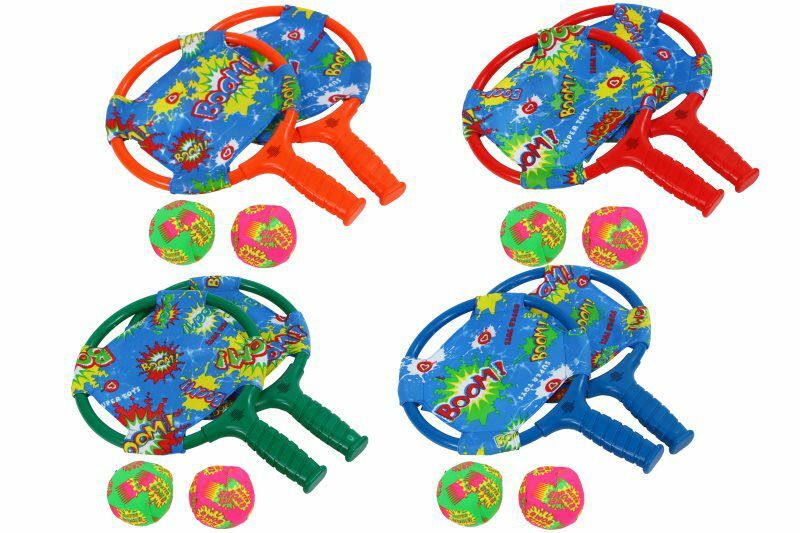 The bouncy paddle catches and catapults Itzasplashers. Includes 2 paddles and Itzasplashers for hours of backyard fun. Colors of paddles may vary slightly.